It won’t win any prizes for looks, luxury, or driving excitement, but Mitsubishi’s 2017 Lancer 5-passenger compact sedan does offer a decent ride, a comparatively roomy cabin, and lots of family value. The Lancer also comes with a number of upgrades and changes for 2017, although a dated profile and some outmoded features indicate that a complete redesign is overdue. The GT trim will be deleted for 2017, leaving the Lancer available in 3 versions: the ES, SE, and SEL. 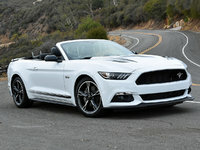 Several of the GT’s standard features, including a sport-tuned suspension and 18-inch wheels, are now standard on the SE, and restyled wheels are expected to be standard aboard all trims for 2017. 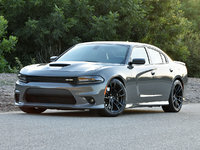 New options include 16-inch two-tone alloy wheels available to the entry-level ES trim, and for the SE and SEL, a Sun and Sound package featuring a power sunroof and a 9-speaker Rockford Fosgate premium stereo system. Inside, the Lancer is noticeably spacious and comes with comfortable and supportive front seats, but the tilt-only steering wheel might require some undue stretching. Rear seat legroom is decent for adults, though trunk capacity is comparatively cramped at 12.3 cubic feet. Look for the 60/40 split-folding rear seats to add a little more stowage space. Soft-touch surfaces are hard to find amidst the cheap hard plastic that surrounds occupants, and the cabin won’t impress with its soundproofing. Mitsubishi’s Bluetooth-integrated Fuse voice-activated infotainment setup’s 6.1-inch touchscreen will go onto all 2017 Lancer trims as standard equipment, but be advised that this technology continues to be inferior in both responsiveness and graphics to competitors like Fiat Chrysler Automobile’s Uconnect, Hyundai’s Blue Link, or Kia’s Uvo infotainment systems. On a more positive note, 2017 Lancer trims come with standard heated power-adjustable outside mirrors, cruise control, automatic climate control, and a standard rear-view camera, with the SEL adding standard leather upholstery, an auto-dimming rear-view mirror, and a 140-watt, 6-speaker stereo with satellite radio and HD Radio. An available Navigation System package adds GPS navigation and a 7.1-inch touchscreen, while stand-alone options include LED fog lights, a rear spoiler, and rear parking sensors. The 2017 Lancer ES is offered with standard front-wheel drive (FWD), while a full-time all-wheel-drive (AWD) configuration designed strictly for wintry weather is optional. AWD comes standard on both the SE and SEL. Powering the FWD 2017 Lancer ES is a 2.0-liter inline 4-cylinder engine that mates with either the standard 5-speed manual shifter or a continuously variable transmission (CVT) to put out 148 hp and 145 lb-ft of torque. No mileage estimates are available for the 2017 FWD Lancer ES, but the EPA lists current variants carrying the 5-speed manual transmission at 24 mpg city/33 highway/28 combined, with CVT-equipped versions currently estimated at 27/35/30. A 168-hp 2.4-liter I4 powerplant is standard in the 2017 SE and SEL and comes optional in the ES when equipped with AWD. This engine is available only with the CVT and produces 167 lb-ft of torque. Mileage estimates for 2016 trims with the 2.4-liter I4 run 23/31/26, way less than Honda’s Civic (35 mpg combined) or the Mazda3’s 2.5-liter I4 (32 combined). A 0-60 mph time of 7.7 seconds in one track test is proof that this mill can show some scoot, but hard acceleration results in a loud, distracting roar, while the CVT often responds slowly to merging and passing maneuvers. Look for the 2017 Lancer stable to feature antilock disc brakes, front side-mounted airbags, full-length side curtain airbags, and a driver’s-side knee airbag, while up-to-date safety technology like adaptive cruise control, blind-spot warnings, and lane-departure alerts are again conspicuously absent from the lineup. The National Highway Traffic Safety Administration (NHTSA) gives the 2016 Lancer 4 out of 5 stars for overall crashworthiness, with the Insurance Institute for Highway Safety (IIHS) awarding the current version its best rating of Good on all tests except the small-overlap frontal-offset portion, where it received a second-best score of Acceptable. Those considering the 2017 Lancer might bear in mind that competitors like the Honda Civic, Ford Focus, Mazda3, and Hyundai Elantra each offer upgraded styling cues, beefier powerplants, better fuel efficiency, and superior infotainment and safety technology at similar base MSRPs. 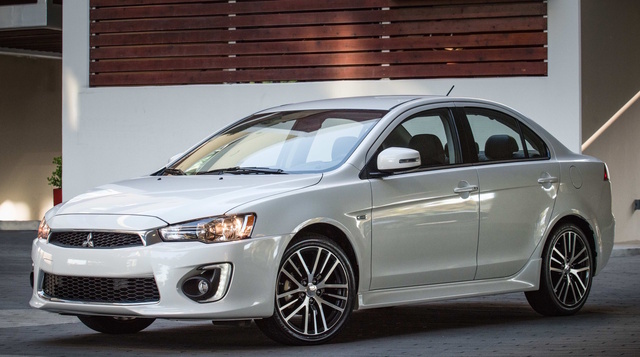 What's your take on the 2017 Mitsubishi Lancer? TheHorror It’s the best-looking subcompact on the market. You’re an idiot, Tallberg. Users ranked 2017 Mitsubishi Lancer against other cars which they drove/owned. Each ranking was based on 9 categories. Here is the summary of top rankings. Have you driven a 2017 Mitsubishi Lancer? Staple In Rear Tire, Repairable Or Does It Have To Be Replaced? Do u have a diagram for this belt routing .